This artwork is a frame for a picture. 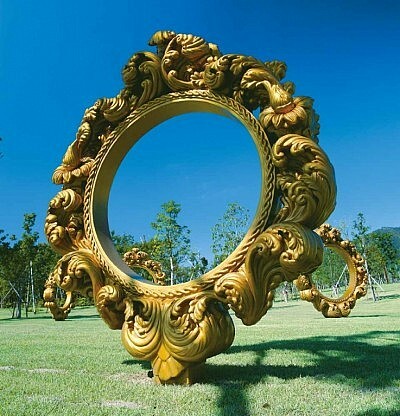 Anything seen through the frame’s void becomes a picture. The artist’s fun-loving spirit becomes obvious when we realize that we too become one of the subjects along with this Kirishima mountain scenery. What pose would you strike if a snapshot were taken? Try different angles with your friends.